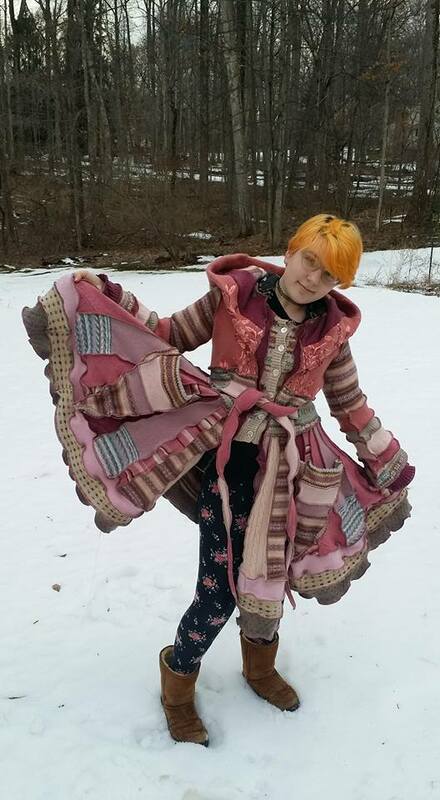 Custom and one of a kind coats inspired by Katwise designs. Made from felted wool sweaters. The best of natural fibers, cleverly constructed and with artistry in every snip and stich. Featuring our unique gusseted pockests. Coordinating arm warmers and boot toppers available. Please use the Contact Us page with your desires.